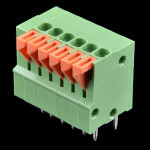 These are simple 2-position screw terminals with 2.54mm pitch pins. 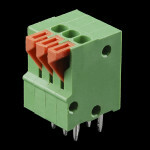 Rated up to 150V @ 6A, this term..
Screw Terminals with 3.5mm pitch pins. 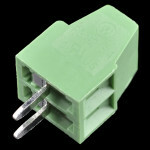 Comes in 2 or 3 positions and have the really cool feature of..
Screw Terminals with 5mm pitch pins. 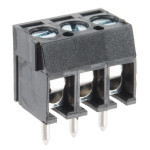 Comes in 2 or 3 positions and have the really cool feature of s.. 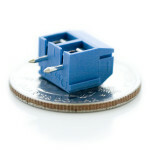 These are small spring terminals. 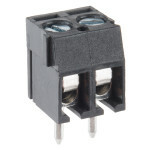 Open the aperature with the small arm, insert the wire, release th.. 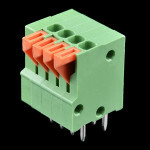 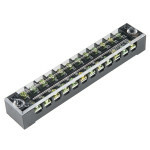 This 12 position screw terminal block provides a simple way to connect wires to a single connection .. 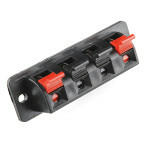 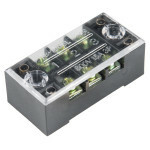 This 3 position screw terminal block provides a simple way to connect wires to a single connection p.. 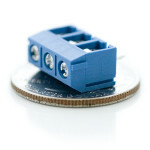 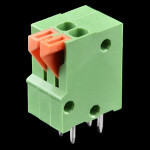 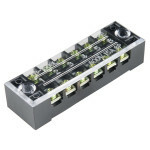 This 6 position screw terminal block provides a simple way to connect wires to a single connection p..